A documentary about Crawford, Texas (George Bush's hometown) and the siege in Waco, Texas. 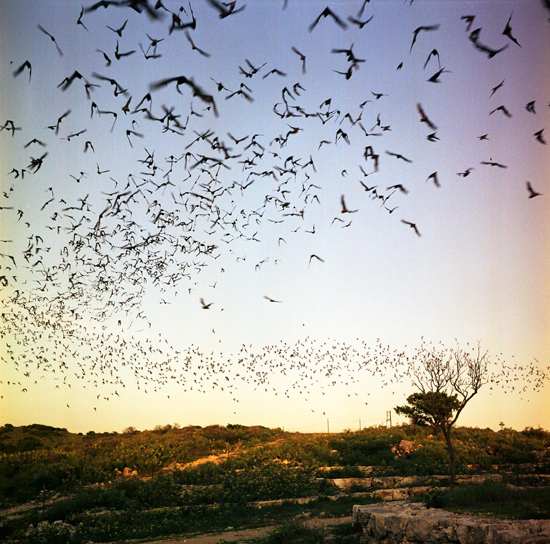 Bats leaving Frio Cave at dusk, Texas, 2003. 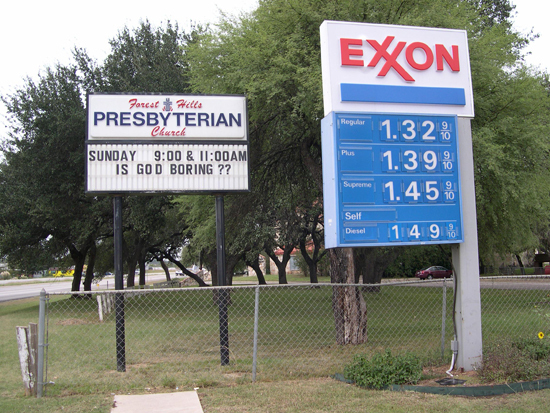 Is God Boring, San Antonio, Texas, 2003. 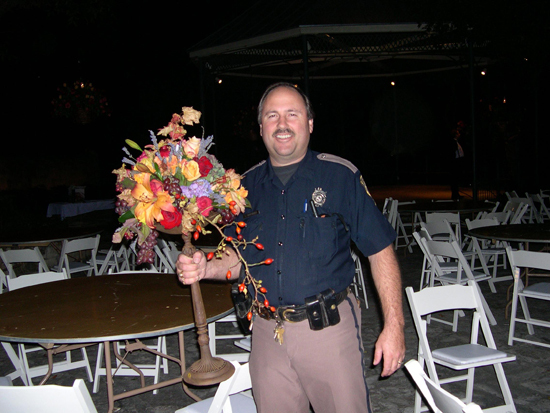 Cop with Flowers, San Antonio, Texas, 2003. 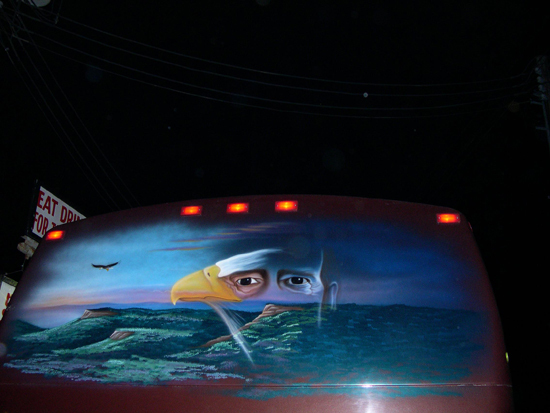 Willie Nelson tour bus, San Antonio, Texas, 2003. 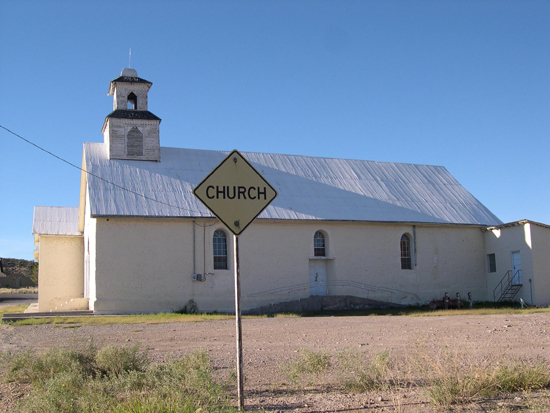 Church near Marfa, Texas, 2003. 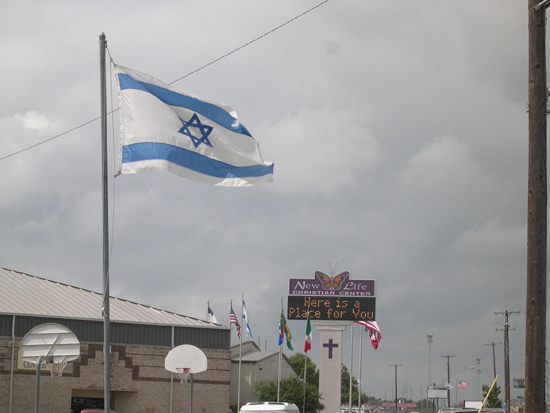 New Life Christian Center, San Antonio, Texas, 2003. 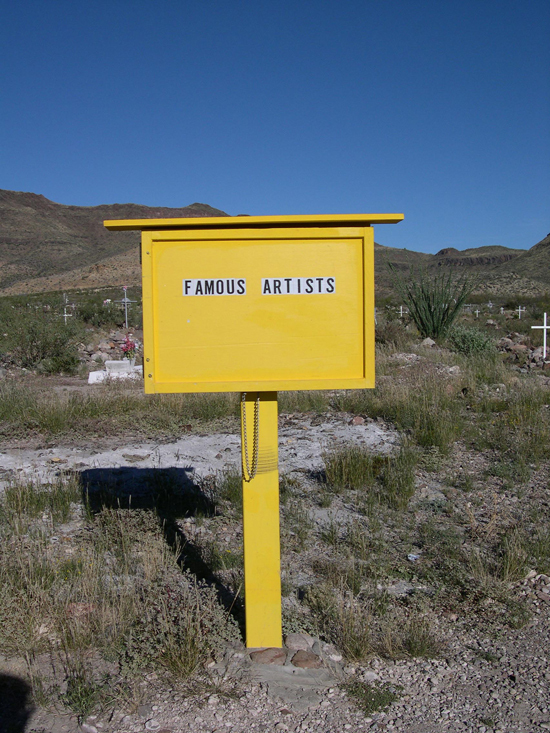 Famous Artists, Graveyard near Marfa, Texas, 2003.